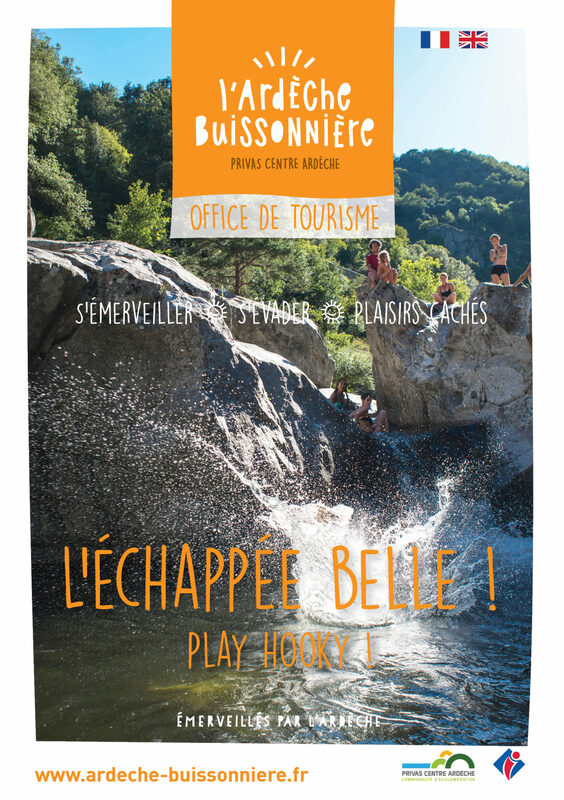 Download our brochures and guides to plan your holiday in Ardèche Buissonnière.  You will also find information covering the whole of Ardèche should you want to adventure a little further. 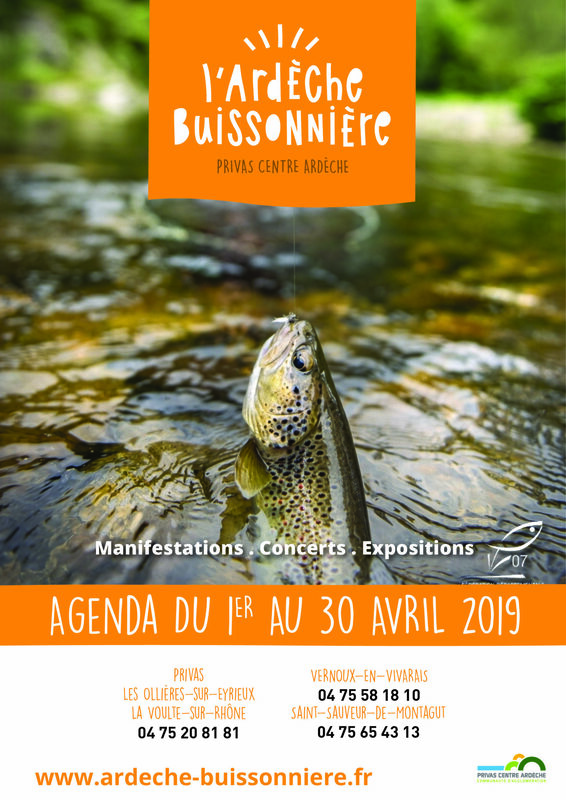 Please find all the March 2019 events in Ardèche Buissonnière ! Kick off your shoes and make yourself at home ! 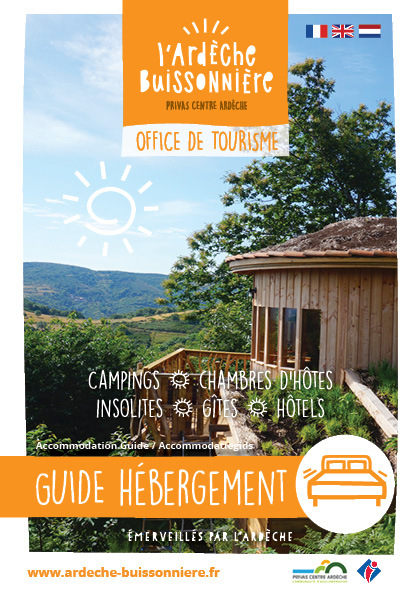 Whether it’s B&B, holiday rental, campsite, hotel or gîte, you’ll receive VIP treatment and a warm welcome. 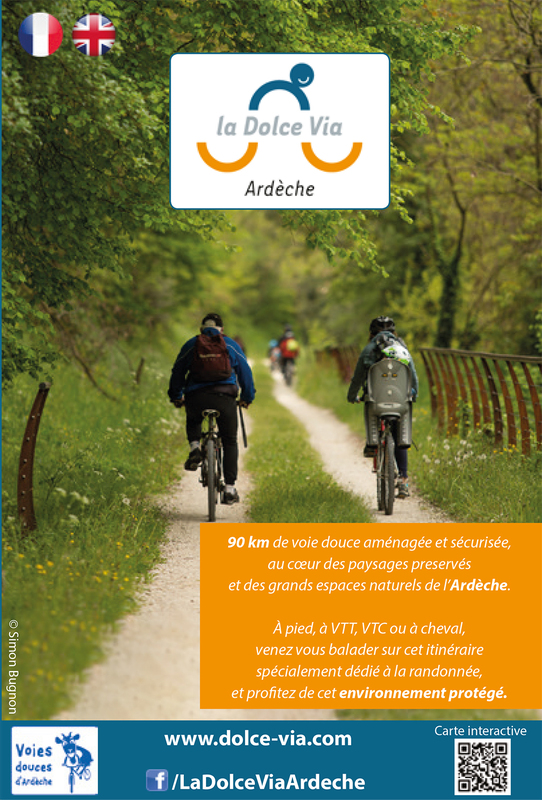 L’Ardèche Buissonnière, fancy a spot of exercice ? Go for a wander, get on your bike, take a horse-ride along the paths and cycle routes. Or you could go for a dip in the river, paddle a canoe, jump off the rocks or even swing across a zip-wire or two – there’s no shortage of ways to move your body! 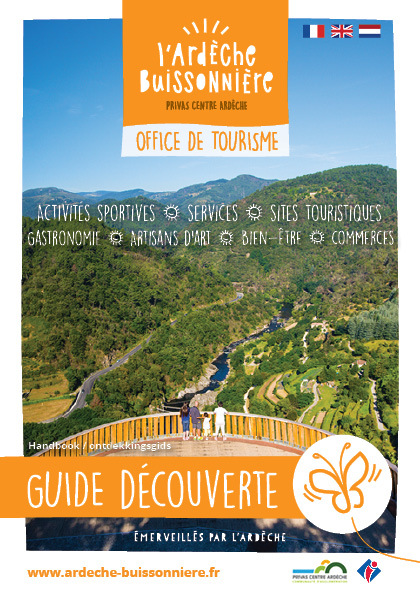 Simply locate the various site, activities, as well as our offices on the tourist of the Ardèche Buissonnière. 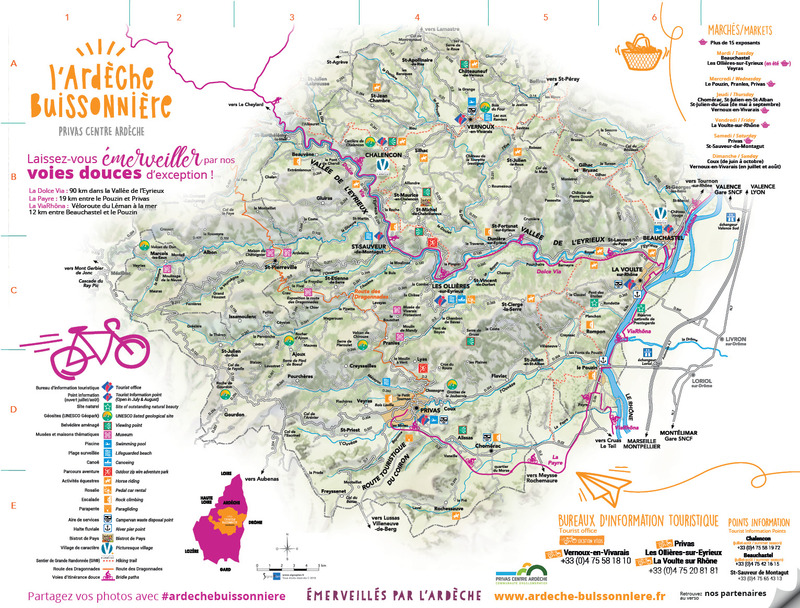 The Dolce Via (90km) follows the river through the Eyrieux, offering spectacular views over the surrounding landscape. Download guid/map.